As consumers, we are all surrounded by eco-products and green initiatives. We see these products because the companies listened to consumer demands, and many of these customer behaviours and attitudes have been influenced by organizations working towards increasing conservation and sustainability practices, such as the World Wildlife Fund (WWF). WWF works to stop the degradation of the earth’s natural environment and to build a future in which humans live in harmony with nature through conservation and sustainable development. WWF, one of the world’s largest and most respected independent conservation organizations active in over 100 countries with almost 5 million supporters, spoke to The Canadian Business Journal about its initiatives and corporate programs that positively address the dangerous global trend of growing consumption straining the planet’s resources. 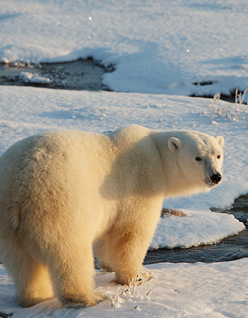 WWF and Coca-Cola Canada (Coca-Cola) have built a unique Canadian partnership on the common ground of shared Canadian and corporate heritage — the polar bear. With nearly two-thirds of the world’s polar bears living in Canada, this Arctic species is an important part of our ecosystem and culture. To this Archer said, “Together, Coca-Cola and WWF have created a ‘cause marketing’ campaign called ‘Arctic Home’, building on Coca-Cola’s long-standing tradition of having polar bears in their marketing around the holidays. This program, which was executed in Canada and the U.S. in 2011, raises awareness and funds through a donation matching program for our Arctic work. Together, we’re helping safeguard the polar bear’s home in the rapidly changing climate.” Coca-Cola committed $2 million to WWF over five years, and match consumer donations up to US$1 million in its 2011-12 campaign. In its global relationship, WWF and Coca-Cola focus on objectives around water conservation and efficiency (working in all seven international priority drainage basins for the major oceans and seas, from China and Africa, to the U.S. and Canada). The partnership also addresses energy efficiency and carbon reduction – Coca-Cola is a member of WWF’s Climate Savers program – as well as packaging and supply chain. Working with WWF, Loblaw Companies Limited (Loblaw) made the commitment to source 100 per cent of all wild and farmed seafood products sold in its stores from sustainable sources by 2013. 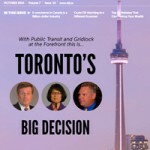 “We work with Loblaw not just to help them develop this plan, but also to achieve their objectives,” explained Archer. “This commitment has changed the seafood industry. The ripple effects are felt through Loblaw’s entire supply chain, from the fisheries that catch the seafood, through the manufacturers and distributors. It gives consumers an option that might otherwise be hard to find. By making this decision, Loblaw is helping drive global change,” Archer said. A number of other Canadian retail chains have followed in Loblaw’s steps and made commitments to sell sustainable seafood. Bob Chant, Senior Vice-President, Corporate Affairs and Communication at Loblaw Companies Limited, stated, “At Loblaw, corporate social responsibility forms the foundation for our mission to be Canada’s best food, health, and home retailer. It is ‘The Way We Do Business’ and partnering with WWF reflects our approach. We are pleased to work collaboratively with WWF on various initiatives, in particular Loblaw’s industry-leading sustainable seafood initiative and environmental programs designed to mobilize Canadians in support for the environment. Besides this ground-breaking initiative, Loblaw also launched a national charge for a plastic shopping bag program in 2007, keeping plastic bags out of the landfills. The company donated a portion of the proceeds from this program to WWF ($4 million over the past four years). Chant said, “Paid for from the proceeds of our pay-for-bag practice, Loblaw and WWF have partnered on national conservation initiatives like National Sweater Day, Great Canadian Shoreline Cleanup, and Green CommUnity School Grants, each of which involve Canadians across the country in environmental activities. Since 2009, we have reduced the number of plastic shopping bags from our stores by 3.8 billion, a 71 per cent reduction in bags coming from our stores. As the world’s largest IT company, HP recognizes the need to lead in the field of sustainability. In Canada, HP is championing WWF’s Living Planet @ Work employee engagement program, working to sign up 500 companies to take actions on the environment, and to help these companies engage employees in green initiatives. The Living Planet @ Work program provides strategic guidance, green business ideas, free tools, and support that empowers these companies to seek out greener ways of doing business. The website reads, “By inspiring individuals, we’re not just driving more sustainable business practices, we’re creating environmental advocates who will lead a wave of environmental change at work as well as in their homes, schools, and communities.” In addition to providing free tools and resources the Living Planet @ Work program aims to raise valuable funds for WWF’s research and conservation work through workplace giving. The global partnership between HP and WWF (also part of the Climate Savers program) focuses on reducing HP’s overall carbon emissions from the entire supply chain — emissions from the producer side (on the factory level), and especially on the user side. As a technology company, HP recognizes that the biggest carbon footprint they have as a company is the actual product usage — when users plug in and use the products on daily basis. HP made a strong commitment on its operational side, but also committed to lower product energy consumption. The results are impressive: HP achieved a 50 per cent reduction in energy consumption of its products by the end of 2011 (compared with 2005 levels), exceeding the original goal of 40 per cent. The company also reduced greenhouse gas emissions from its facilities by 20 per cent below a 2005 baseline, meeting its goal two years early. “HP achieved some pretty significant results around using recycled content in their equipment but also recycling — taking back and responsibly managing their products. HP has been very active, lobbying different levels of government and encouraging the entire industry to do more. HP is an important partner of WWF globally,” summarized Archer.